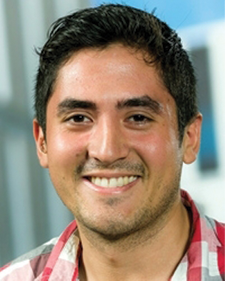 My name is Vachail Nicolás Salinas Poblete and since November 2013 I am a PhD candidate at the Leiden Observatory, The Netherlands. I got my master's degree in Astronomy at Universidad de Chile under the supervision of Simon Casassus where I developed a python code to process data from integral field spectrographs. This code implemented a variation of the principal component analysis (PCA) applied to the spectral differential imaging (SDI) technique to directly image exoplanets. My current interest lies in the chemical and dynamical processes in protoplanetary disks where planets are formed. The new era of ALMA will allow us to expand our knowledge of the cold universe and to answer the mysteries of planet formation.